is a Regenerative Braking necessary for electric bicycle? Recently, many customers ask if our electric bike conversion kits inlcude regen braking. I do not understand why they all want to this feature on their ebikes. The regen braking will not necessory for a electri bike. It is original for electric cars, not much energy can be saved to battery when the e bicycle in actual using. That is just a selling slogan and waste money. If some guy has the some idea, please share your idea.Thanks. Re: is a Regenerative Braking necessary for electric bicycle? I do not think it is useful either.Some providers are cheating. I guess it all depends on the usage of an e-bike. On long downhill runs regen will surely be beneficial in an e-bike too! But on your regular level road rounds it will be all but unnoticable range-wise. Regen breakes are future of every good ebike. Tidal Force has it, E+ has it, Optibike has it. And all three are one of the best you must agree. You forgot that they are there to save brake pads on disc breakes pads are rather expensive. Grinding metal and rubber ??? I cannot imagine ride without them. I have three scooters, one with strong regen controlled by the throttle (Oxygen lepton), one with no regen (XM-3000) and one with regen supposedly activated by braking and deceleration (ZEV 5000). The Lepton: the regen is generally a good feature, but it also prevents you from coasting - you have to keep the throttle open and the motor running except on steep downhills. If it were activated by the brake levers only, the combination of coasting and regen would probably extend the range by 10% over what it is. Interestingly, the Economy mode, with its proportionately weaker regen, seems to add more range. I think it may be two things: the regeneration 'events' last longer and allow for greater charging efficiency as opposed to the very strong Sprint mode regen that slows the scooter *very* quickly, and Eco mode uses less power, so the range estimator goes up more for that reason. Another quirk: going down a steep hill in Sprint and using regen, the range estimator will usually *subtract* range at the end. I don't know why. The X-Treme XM-3000: regen would probably help if activated by the brakes only, but when the manufacturer claimed that coasting adds a lot of range, they aren't kidding. Those five heavy GreenSaver batteries make the scooter want to keep rolling for much farther (and *much* faster on downhills) than you'd think. I think that its lack of regen isn't a big minus at all. ZEV 5000LA: the first reviews of this scooter that I read mention very strong regen on braking. Mine seems to have very little, or even none at all. This may be due to a change in controller programming, crash damage, or just a quirk of this model. Anyway, the same strong coasting ability helps as with the XM, but strong regen on brake activation would be very welcome, both to extend range and to help the adequate but unimpressive disk brakes. My XM-4000li does not have regen, but my XM-700li does. It would be my opinion that regen added very little to the range of the 700li and the 4000li is fine without it for the reasons the author mentioned. It takes 3 hours to fully charge the batteries on both cycles. Over the course of a ride, is 5 minutes of regen braking going to be significant??? It would be different if you could fast charge or "slam" energy back into the battery pack, but that reduces life. If it is true that at 25 mph 80% of the energy is used to overcome wind resistance, then it might be wise to invest in a larger windshield. I certainly need one, as I am far above the current windshield on my 4000li and can envision cutting down on that wind resistance significantly. Has anyone seen an aftermarket windshield for the XM series or the ZEV's? My XM has the same body as the ZEV 5000LA mentioned above. Having a Cycle Analyst on my scoot now I can confirm on average a 5% regeneration rate in my mixed country road and some city driving. That would mean 5% more range :-) And my regen only recuperates some 30A at sufficient speeds, so it still requires careful timing to use ONLY regen for regular stopping. I have found it to be most beneficial to apply my brake switch activated fixed regen right from cruising speed (as opposed to letting the scooter coast) and letting go of the brakes when speed has dropped below 20km/h, when regen current is reduced to a mere trickle. But due to very low aerodynmaic drag at low speeds I can still coast a considerable bit. I just like to add that the XB-700li does not have regenerating braking. It does not coast very well, but I think that has to do with the cheaper manufacturing, and some kind of leakage could be possible on the motor, when it generates the power from coasting. Truth is, it does not generate in the batteries. Until I released its magic smoke, I had a DrainBrain (nee Cycle Analyst) attached to my XB600. It revealed that the XB DID have regen. It cut in above 23 MPH, and, on steep hills, put out up to 400 Watts. Its greatest function was as a speed governor; there was never any significant range extension. 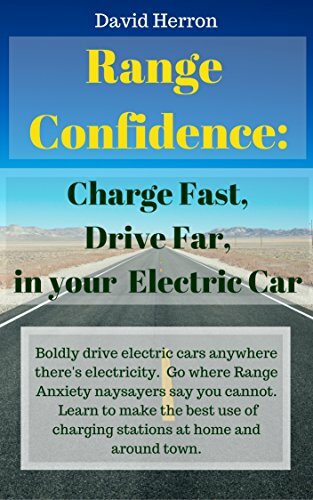 The concept of utilizing kinetic energy to get "free" electricity is tantalizing, but the more mundane concept of utilizing kinetic energy to get somewhere by coasting is more directly useful. To the folks who take the position that Regen is useless or miniscule on an electric bike I say, Get your facts or get some experience. I am looking for a replacement for my BIONX PL350 which has rolled the odometer over two times (>13,000 miles). The batteries are still going strong with over 500 charge cycles and range more than 30 miles with me pedaling and the thumb throttle full bore at 20mph. The only reason I need to replace it is the Hub aluminum case broke out the center where the freewheel screws on. If you ride hard and need to slow down the way I do then you will need aggresive braking which the PL350 has. Four levels of regen braking to be precise. I test rode a Stromer and be aware that there in no regen braking on the Stromer while the battery State of Charge (SOC) is above 50% what's with that? The Stromer designers have not figured out how to regulate DC Buss voltage. I would have bought a Stromer if I had not discovered that on a test ride. Sadly none of the E-Bike manufacturers have been able to do this. Yeah right, if you listen to tha "Also Rans" they pooh pooh the idea. Too bad they don't waste the few bucks it would cost them to implement regen. On a brushless synchronous motor the hardware required is minimal. I think the detractors are just not smart enough to manage the technical part of implementing Q4 motor operation. Regen makes a difference. Get over it folks. Electric cars would never be without it. Someone said "What about the Huge Amps that might kill your battery while regening?" Come on people I suppose those Huge amps are insignificant out one side of your mouth and mega destructive out the other side of your mouth. Too bad BionX is the only one out there that can do this. I keep looking. Someone please educate me about why it is preferable to turn up your nose to this technology and shun Regen braking. Or Else if you see any other companies finally getting it together let me know who they are. I can't speak for others, but I DID base my opinion on measured facts. For the XB600, its regen does VERY little to extend range. In general, the energy balance sheet is different than for cars; non-regeneratable air drag is a far larger part of the equation. If you have a particular need for regen in your usage, go for it! For the majority of users, however, if adding regen raises the price of the vehicle, it is less likely to be purchased in the first place. The smaller the sales base, the greater the likelihood that our two-wheelers lose maintainability before we're ready to move on ourselves. Thanks for educating me Mark. Your XB600 has regen as you say it captures 400 watts. In your earlier post you claimed that it "does not kick in till 23 mph." If this is so then you would not be getting anything at lower speeds correct? And as you also correctly stated at 23 mph the aero drag dominates the force equation on the bike-rider system. Therefore it is not any surprise that the XB600 experienced very little increase in range. The Cycle analyst is a great tool and I use one on the BionX like you do. I, like you, was skeptical about the amount or energy which was actually being put back into the battery while using regen to slow the bike down. I have to add here that at speeds above 23 mph with the BionX there were times when I saw battery charging rates of 10-12 amps which the battery had no problem accepting. However on a long downhill of 6% or more one could possibly reach a battery voltage greater than 42 volts (10 cell LiPo). In those cases I reduced regen from level 3 to level 2 or just allowed my speed to increase to 30 mph which dissipated any additional forward acceleration. Here is an excerpt out of my bike logbook. It was up hill to an elevation of 1300 ft, then back down. I hope it can paste from the Excel sheet. It would seem not very useful on short grades, not enough time to do much recharge. Also, sometimes it is good to fly downhill. A generator would slow you down, saving on brakes...and fun. Maybe ultracaps will be engineered for bikes someday. It's not neccessary but regen braking can drastically reduce your brake wear and also keep your brakes from getting to hot on extended down hills. Also regen never squeaks and has a nice smooth feel to it. My opinion regarding Regenerative Braking for electric bikes depends on road situation or may be distance factor. If any more Ideas you have Please tell me! !